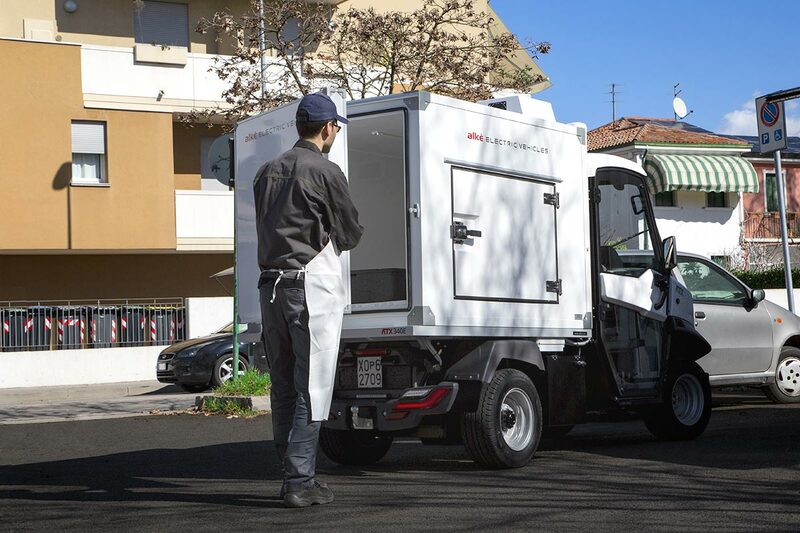 With their compact design, N1 type-approval and special equipment, Alke' refrigerated electric vans are one of the best solutions for transporting fresh, perishable products. Manoeuvrability, an electric motor and a compact shape make this vehicle perfect for deliveries in cities and restricted traffic areas. Why choose Alke' refrigerated electric vans? Society's growing demand for convenience has led, over the years, to an increase in home deliveries for a wide variety of products. Over the last few years, the concept of sale and home delivery of fresh produce such as fruit, vegetables, meat and fish has also developed. 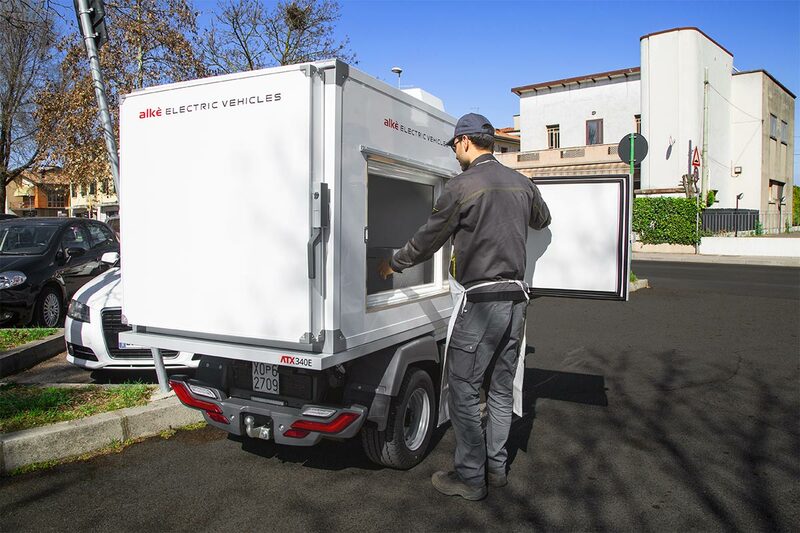 For this reason, Alke' has decided to embrace this trend by creating a 100% electric, self-refrigerating fridge van. 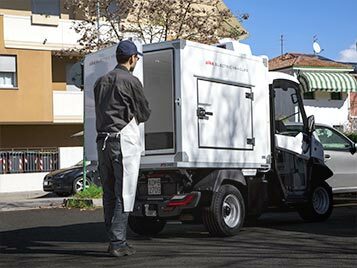 This vehicle has a maximum load capacity of up to 1.410 kg depending on the model, a load volume of up to 2.3 m³ and it is N1 type-approved for circulation in urban areas. With zero CO2 emissions, Alke' fridge vans are the perfect solution for anyone who has to deliver to urban areas that are often subject to traffic restrictions. By choosing one of these models, you can circulate freely and save time you would have wasted on the bureaucracy needed to obtain permits for driving into the city. Alke' refrigerated boxes can also be used in warehouses to fill refrigerated display cabinets in stores or in hospitals to transport medical or healthcare supplies. With their compact size and zero sound and CO2 emissions, they can be used in any enclosed area to transport anything that needs to be kept at a specific temperature. 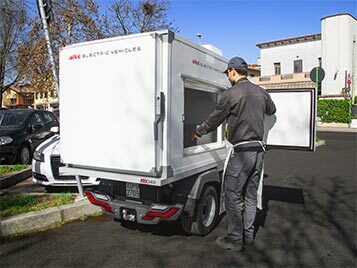 The isothermal box installed on Alke' refrigerated vans can be removed and comes in two sizes to adapt to any business's needs: 1.6 m³ and 2.3 m³ internal volume. To optimise its isothermal qualities and guarantee that the cold chain is maintained, it consists of a single block made of sandwich panels in fibreglass and rigid polyurethane foam with tongue and groove joints. The inner surfaces have a food-specific white gelcoat finish whereas the outer walls are made of press-formed profiles in pre-painted steel. When it designs its vehicles, Alke' mainly focuses on guaranteeing that its users have maximum accessibility. For this reason, its isothermal boxes have two openings: one side one and a rear one with one or two doors, depending on the model. 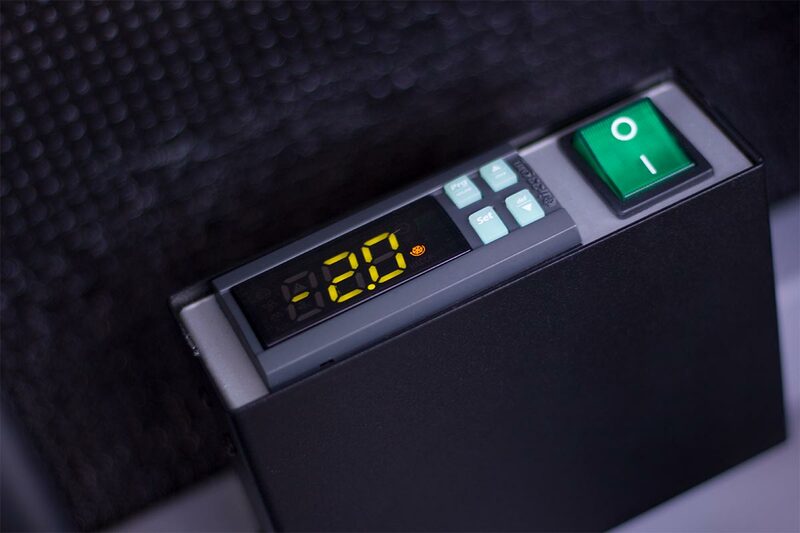 The temperature in the box, guaranteed by the ATP - FRAX certification, is kept constant at between 0° and +4° and, thanks to an LCD in the cab, can be monitored at all times. 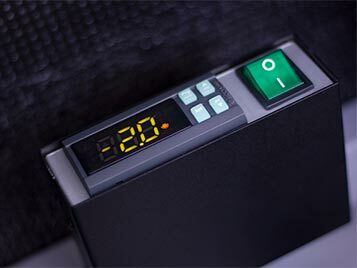 The refrigeration system is powered by the vehicle at 12V when driven whereas at night time or when parked for a long period, it is connected to the 220V mains. In this way, the battery-powered supply keeps products refrigerated during transportation too. Send us a short message if you would like to receive the prices of the Alke' refrigerated electric vans.